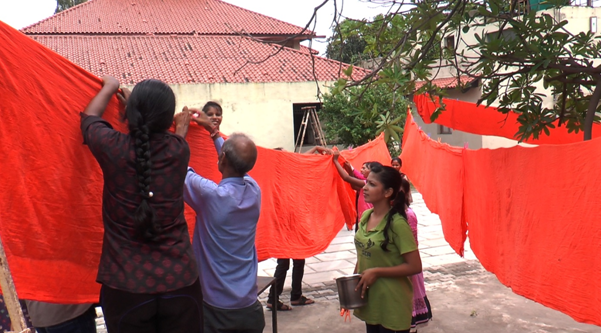 Alleging that even 70 years after Independence, untouchability is practiced against those who weave khadi clothe, Dalits, Gujarat’s Dalit rights activists led by Martin Macwan have decided to hand over India’s “largest-ever” National Flag made of hand-made clothe to Gujarat chief minister Vijay Rupani to remind the latter about his fundamental constitutional duty – to abolish caste discrimination. Proposed to be handed over to the Gujarat chief minister on August 11 by Macwan and his colleagues following a march to Gandhinagar with the participation of 1,500 villagers, the National Flag, made of khadi as a symbol of Dalit rights, would be 125 feet long and 83.3 feet high. Along with the National Flag, the activists would also be handing over a supda (big-sized winnowing basket), which is usually made by the Dalits’ Valmiki community to earn a livelihood. “We would give our memorandum – a one liner, asking him to write down the name of one Gujarat village as untouchability free on August 15, Independence Day. The memorandum would placed in supda, which would be handed over to the chief minister along the National Flag as our reminder to him that the Dalit community is still not free of any type of discrimination in Gujarat and in India”, an activists’ communiqué says. The National Flag has been prepared by girl students and teachers, majority of them Dalits, at the Dalit Shakti Kendra (DSK). The decision to hand it over to the chief minister has been taken, says the communiqué, because India’s top Dalit icon Babasaheb Ambedkar was a member of the National Flag Committee, and his main thrust was to abolish untouchability. As for its length, it matches Ambedkar’s 125 birth anniversary. 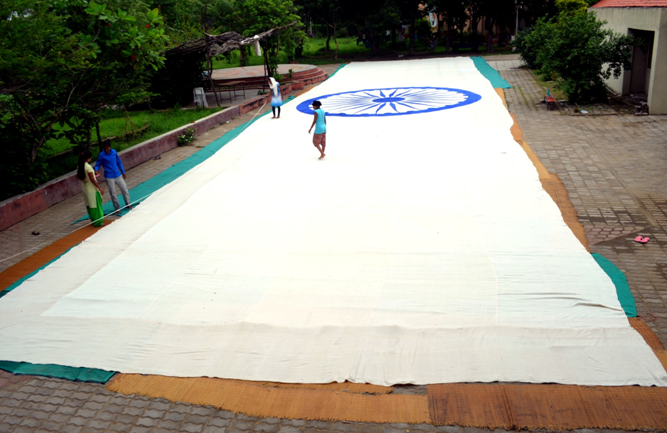 Prepared after working on it for 25 days, which included washing the cloth, sewing it and colouring it, even as printing a 25 ft x 25 ft Ashok Chakra in the centre, the National Flag is 2,120 of sq metres. The total cost in preparing has come to just Rs 53,000. The cost of labour in preparing it has not been counted, says the communiqué. Pointing towards the importance of Ashok Chakra, the communiqué says, its 24 spokes symbolize Gautam Buddha’s dharma chakra, which consists of 12 basic principles of life – one of which is equality, underlining, the Mission 2047’s campaign is to free India of untouchability on its 100th year of Independence, and is the same as that of the Buddha. The decision to hand over one-liner memorandum on supda along with the largest National Flag was taken on July 15 at the Dalit Shakti Kendra, of Dalit Empowerment Centre, which trains young girls and boys into technical skills. 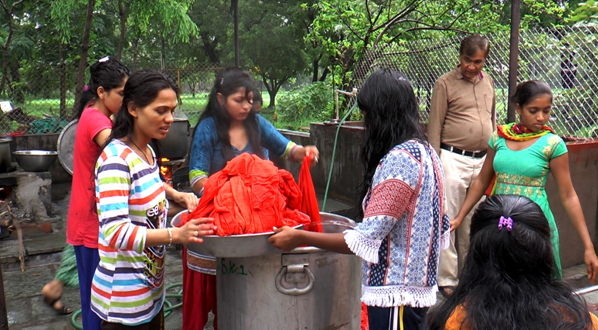 Founded by Macwan in 1999, DSK offers more than 20 courses, including tailoring (pants, shirt, blouse for sari, salwar kameez, and industrial), furniture, driving, beautician, basic computers, computer tally, secretarial training, handicrafts videography, photography, etc.